Leading up to announcement day, HTC One M8 leaks typically showed off the Gunmetal Gray version of the device. This version has also held much of the spotlight since. But this darker, streaked variant isn't inherently an improvement (these things are subjective, after all), and there are many people who would probably prefer the shiny, silver look of the original. 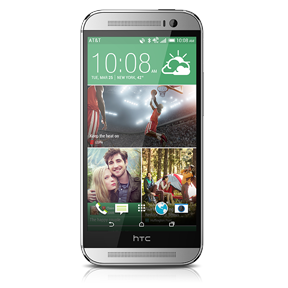 Well, said version of the HTC One M8 is now available from AT&T. 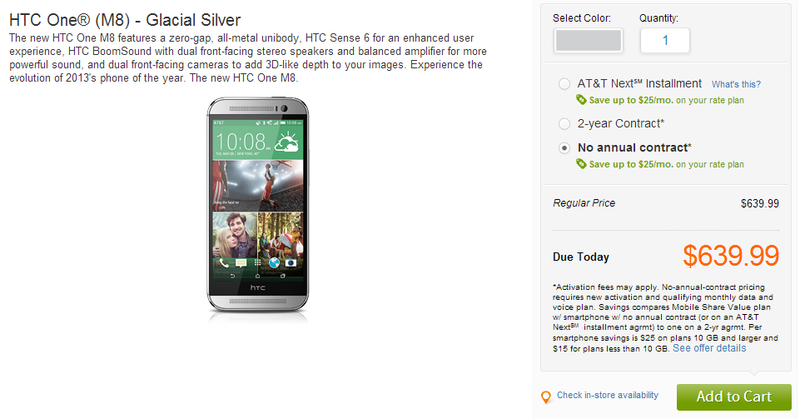 Before now, AT&T only offered the HTC One M8 in Gunmetal Gray, though it did say on launch day that the Glacial Silver version was coming soon. Apparently, soon means today. Either way you go, the device will cost $639.99 without a contract or $199.99 with one. Just put on some gloves beforehand, because glacial or not, that metal body gets cold.